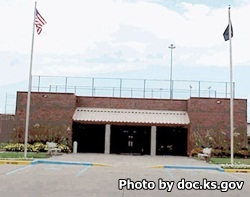 Ellsworth Correctional Facility is located in Ellsworth County Kansas. The prison consists of the central unit and a satellite unit called Ellsworth Correctional Facility East Unit. Offenders at this institution are adult males of mixed custody levels, and currently this prison can hold upwards of 832 inmates. East Unit houses an additional 95 minimum security offenders. Inmates can receive medical, dental and mental health treatment while incarcerated here. Vocational skills and GED courses are offered to inmates through Barton Community College. Some of the courses taught at the college include welding, plumbing, manufacturing, and internet/computers. Certifications can be earned for each of these skills upon course completion. In addition, inmates can participate in a vocational program that teaches them to build new homes that are later sold at auction. General Population Inmates have visitation on Saturdays, Sundays and State observed Holidays from 7:30am-2pm. Inmates on disciplinary segregation are allowed a one hour visit from 8am-3pm Monday-Friday. Inmates on administrative segregation/non-contact have visits once per week on Mondays-Fridays in either a morning 7am-11am or afternoon session at 11am-3pm. You may bring a maximum of $10 for the vending machines, small lockers are available at this prison to store belongings in during visitation.